Bachman's Photography has been creating genuine, quality portraits for over 30 years! Serving the Lindstrom and Chisago Lakes area is a privilege we both enjoy, from Family to Children, Graduation to Pet Portraits - we love them all. We also photograph much more including Sports, Commercial Work, Business Portraits and Special Events - give us a call. We have many indoor and outdoor backgrounds available right here at the studio and can go on location to your favorite spot if desired. We are here to serve you for all your photographic needs! Come to Bachman's Photography..."Where you will have fun while we shoot you!" 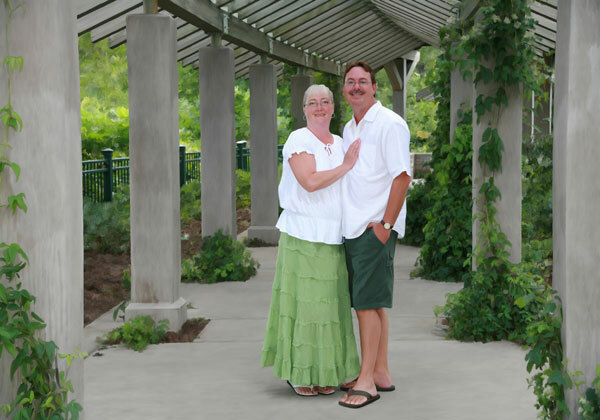 Rich and Shari live in Lindstrom above their Full Service Portrait Studio. We enjoy living in the area and feel blessed we were able to raise our two grown daughters here. We love serving the people of the Chisago Lakes community not only through our work as photographers but also in the many volunteer positions we have been a part of over the years. Please feel free to contact us with any questions you may have regarding our photography services. Thanks for viewing our website!